It's no secret that college tuition is expensive. Nikon has an opportunity for eligible students to ease some of that financial burden. As part of its 100th-anniversary celebration, Nikon announced "The Nikon Storytellers Scholarship" earlier this year. On December 14, they began accepting applications from students in the U.S. and Canada. This is an amazing opportunity for qualified students to further their education, become the content creators of the future, and leave school with less debt in student loans. 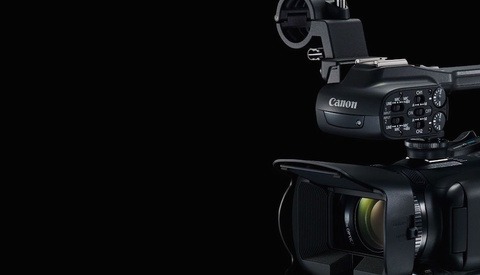 This month, Canon announced three new options for pro-level and enthusiast videographers. These new camcorders are lightweight and compact. They all offer a 20x optical zoom lens, record full HD 1080p video, and range in price from $999 to $1,899. The lack of 4K capabilities has many consumers wondering who will buy and use these products. 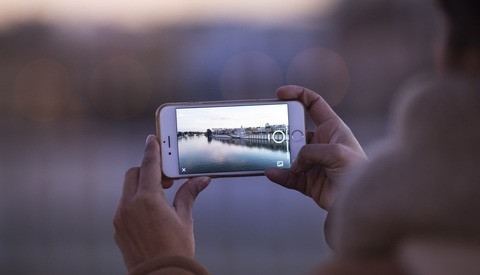 Have you ever wished that your phone would do more with the photos and videos you take? 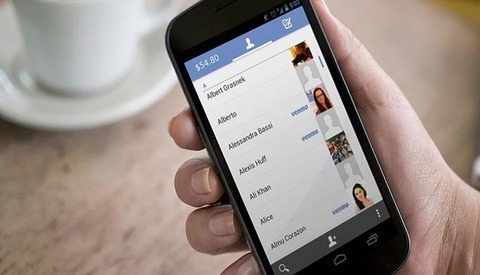 Google has announced the first installment of "appsperiments:" Storyboard (Android only), Selfissimo! (iOS and Android), and Scrubbies (iOS only). These experimental apps are based on the idea behind Motion Stills, an attempt to take technology in development at Google and turn it into useable apps. 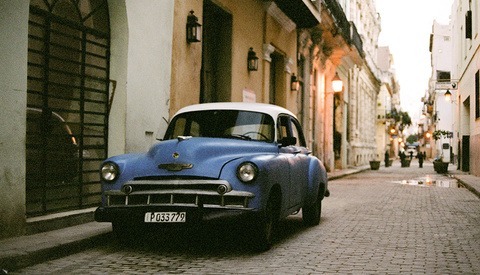 Back in April, I ventured on a trip to Havana, Cuba with the lofty goal of capturing the culture and people there within with my favorite little 35mm film camera. With the recent news that President Trump plans on buckling down on all travel and trade to Cuba, I'm all the more grateful than ever to have made the trip when I did. The Cuban experience is easily the most surreal of any international travel that I have ever experienced. A scammer is using the highly popular funds sharing app Venmo to steal thousands of dollars worth of camera equipment. It appears that the thief operates inside of Facebook Marketplaces and seems to be targeting videography professionals in the Los Angeles area. An annual award that TIME magazine started three years ago has chosen it's official 2015 winner. 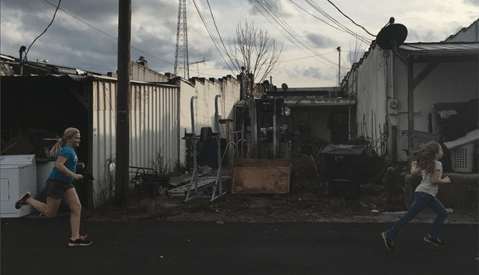 Stacy Kranitz is an Instagram photographer who is most famous for her work in the Appalachia area. The poverty stricken, drug and alcohol filled area is certainly an eye opening subject. But why her in particular? When the terrorist organization, ISIS, isn't busy terrorizing people, they are apparently busy stealing photographer's artwork. In this day and age, it's not uncommon to have your work stolen. Heck, it's pretty common. But having the bane of the earth stealing your work has to be a new experience. 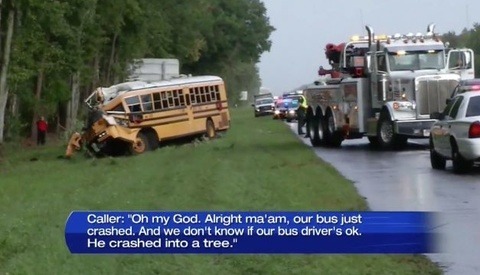 That's not the end of the story though. It gets worse. Have you been trying to think of creative ways to use your skills with a camera for the good of your community? Well look no further! In Jacksonville, FL a vigilante photography group calling themselves, "Photography Is Not a Crime" is doing just that. What's your response when you're told that you're beautiful? Eighteen year-old photographer and student, Shea Glover, decided to "film what I thought was beautiful." 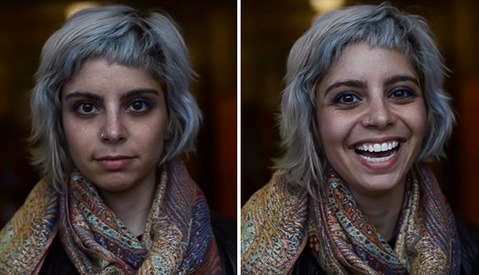 Without intending to, she has conducted an amazing social experiment on the effect of simple positivity and a compliment. The reactions are perfect! 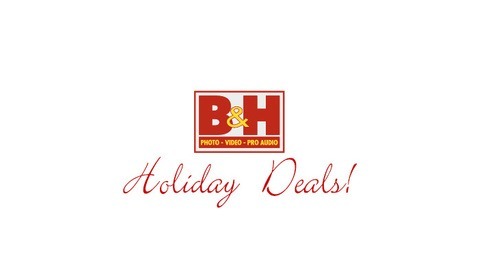 B&H Photo Holiday Deals Are Up! As holiday season officially approaches, some of the first season deals are coming in as well. B&H Photo Video is one of the first ones out and they have some great deals on some stalwart Canon items, as well as others. Links are in the article! The well-known underwear and lingerie company is at it again with its Photoshopping ways. Victoria's Secret has a long history of Photoshopping their models, but this time, have they gone too far with an editing job that's not just unnecessary, but very poorly executed as well? Check it out for yourself! In a possibly misguided attempt to bring awareness to the refugee crisis, Hungarian Photographer Norbert Baksa shot a fashion shoot with a theme based on the refugees escaping from war-torn Syria. The response hasn't been positive. Nope, we're not joking. Photographer Kotama Bouabane is creating photographs using coconuts. While he used the fruit in several different ways to create images, his most interesting method simply involves tape, a coconut, and some photo paper! Read on and check out the video for more! 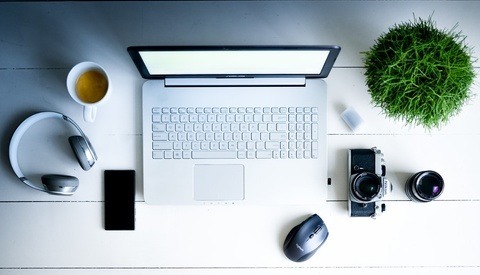 Always backup your work, and then backup your backups! This opinion is brought to you by the recent news that Oakland-based photographer Jennifer Little lost her "life's work" when 21 hard drives containing over 70,000 photos were stolen from her home. To go along with the hard drives, she also lost eight cameras leaving only one left. Recently our own Lee Morris shot a model photoshoot entirely with an iPhone 6s Plus, showing that with proper lighting technique, a good model, and proficient use of editing software, you can obtain professional looking results with even the most humble of cameras. 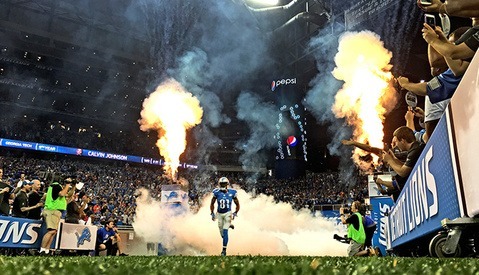 Andrew Weber, a professional sports photographer, decided to take it one step further by capturing the unpredictable environment of a primetime NFL game with only his iPhone 6s Plus in hand. Weber was kind enough to answer some of our questions and provide a great sampling of his photos from the shoot. 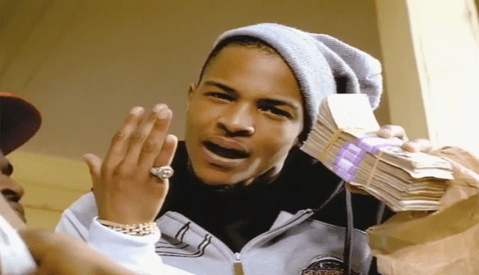 In the continuing saga of musicians complaining about others stealing their work or not getting paid enough for their work and then ripping off hard-working photographers, the rapper T.I. has joined the pack. T.I., most famous for hits "Rubberband Man" and "Whatever You Like" has stolen a Trinidadian photographer's work for use in an invitation to a party he's hosting. The photographer has called him out! 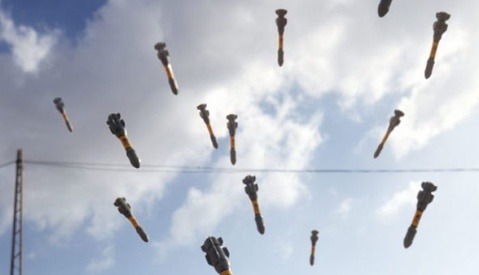 Yesterday morning, as I was getting ready to meet up with a future bride and groom about their upcoming wedding, my phone began to blow up with messages from friends. A friend of mine from highschool had been shot and killed while on air reporting for a local news station. 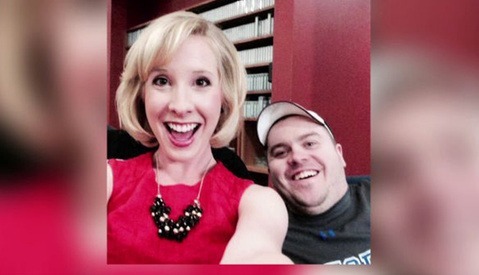 I was fortunate to have known Alison Parker personally in high school through athletics. She was always a caring, fun, care free individual, and a loyal friend. Our thoughts and prayers, as a community, go out to the Parker family and the Ward family as they struggle through the chaos and lost feeling that is losing a dear friend. Another deal is up on eBay for those amongst us who pinch every penny like they're our moments before a match with Ronda Rousey. This time the deal is for us Canon loyals. 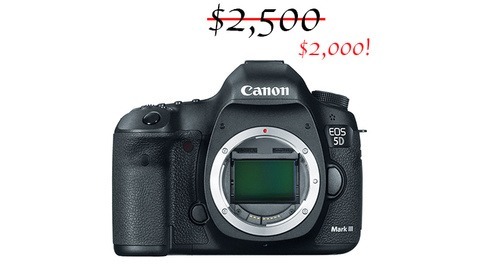 The Canon 5D Mark iii is on sale from GetItDigital on eBay for today only and at the very agreeable price of $1999, a savings of $500 off the standard price of $2500. 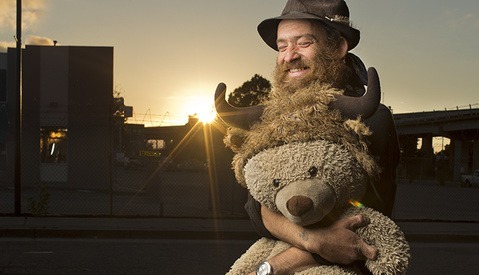 Photographer Aaron Draper is using his photography skills to bring awareness about homelessness by providing us gorgeous images of our human society's proverbial underbelly. 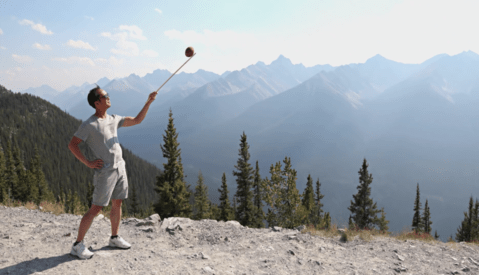 By taking time to apply his artistic eye to the invisible, he's forcing the average person to stop and think about their respective roles in our world. As they say, a picture is worth a thousand words. Check out this behind-the-scenes video and a few shots of Draper's fine work. I'm not stating opinions here, folks. It's the truth. There aren't many reasons to consider purchasing a magazine in this digital computerized age, but this is one of the few. Since it's debut seven years ago, this issue is consistently one of the most anticipated issues of the year. Stephen Atohi is a musician, producer, and photographer who lives in Charleston, SC with his wife, Michelle. 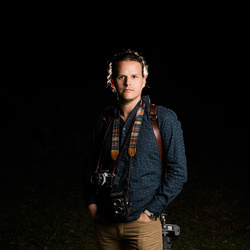 His photography work has been featured all over the web and magazines in places such as theknot.com, weddingwire.com, Charleston Wedding Magazine, theknot magazine, and many more. His style is described as real, intimate, and joyful. He takes pride in a natural and photojournalistic style that focuses on capturing a kaleidoscope of emotions from throughout the wedding day. He sees his role as a photographer as someone who gives an artistic interpretation of the story that's unfolding in front of him.